Painted by me for a DnD setting by Nicolás Núñez Torres. 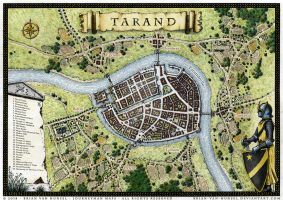 And a fantastic city lies on the icy top of the world... An incredible and beautiful map, my new favourite in your amazing portfolio! There is so much in this. Little details, big details and it's all marvelous. I love the little bits around the edges. It helps give that old timey feel or fantasy feel it. 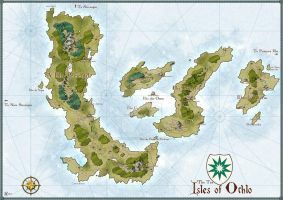 Absolutely stunning, I'm always jealous of folks who can make maps like this. I can barely draw a map of my house lol. I feel precisely the same! Wonderful work, truly! I was hoping this would get up soon.